Click here to view our video - "A Parent's Perspective". 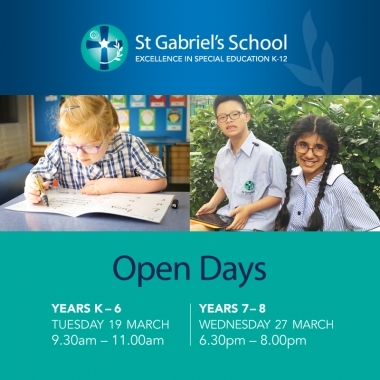 Based in Castle Hill, St Gabriel's is an independent, co-educational, Catholic school catering for students with disabilities such as sensory impairment, intellectual disability in the mild to moderate range, and autism. 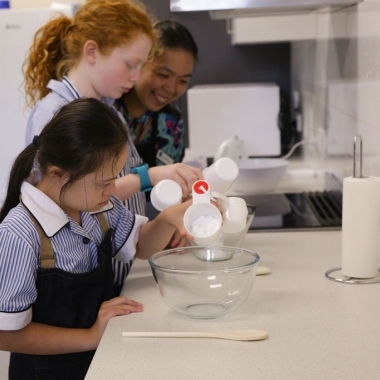 The School has a proud history of delivering special education for over 95 years and continues today by offering very individualised and exciting programs for students. Our specialist teaching staff and purpose - built environment allows our students to achieve success through a focus on communication, literacy, numeracy and social skills. Enjoy learning more about our wonderful School and community as you explore our site!